The local maker market is thriving. Boutiques filled with Kansas City-themed apparel, accessories, art, food and more are opening throughout the metro area while local craft and maker fairs regularly dominate weekend schedules. 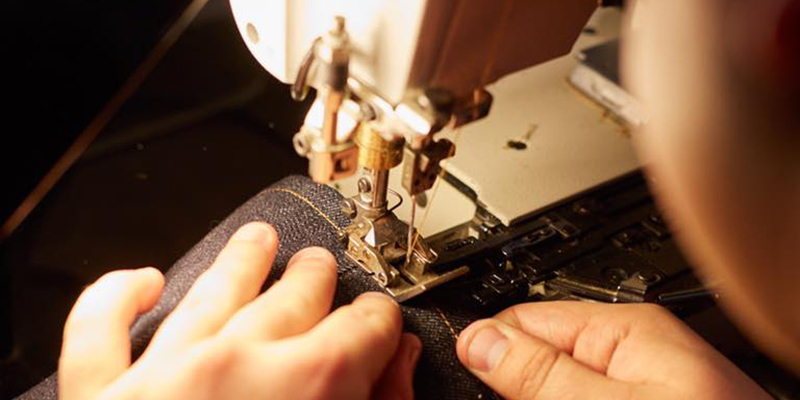 Yet within this creative renaissance, there’s a burgeoning group of niche creators—those that design and produce luxury items. One handmade piece at a time, they’re not only changing the local retail landscape, they’re helping KC emerge as a destination for the finer things in life. Consider the following your local luxury primer. 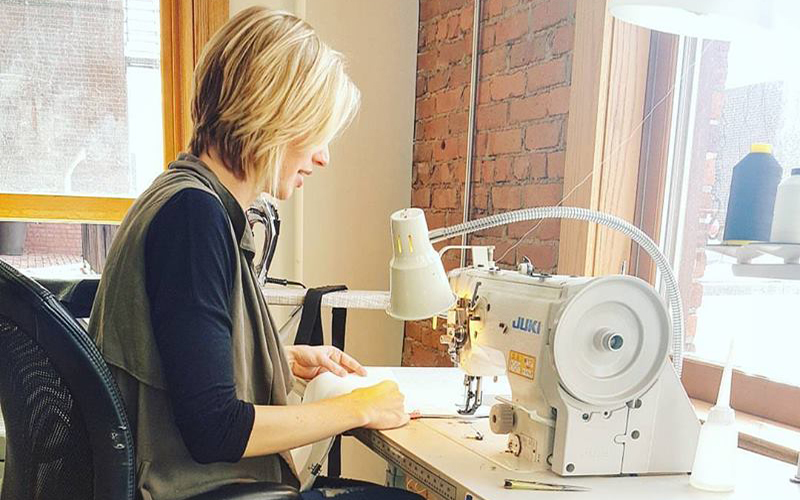 Kansas City native Ami Beck launched Dolyn Bags, a line of luxury leather goods and accessories, in her West Bottoms studio. And while a higher price point required more work to build an audience, Beck says KC is an ideal location for her brand. “Kansas City is a really awesome place to be right now because they care about brands, they care about small businesses and artists and the people who are doing their own thing,” she says. The company found a loyal customer base that not only loves the sumptuous leather and materials used to make each bag, but also its designs, which play with patterns and mix materials. Each bag also includes a surprising bit of whimsy, typically on the lining or within the pockets. Take, for example, the Sam Duffel. Made for singer Sam Hunt, the leather bag includes two panels of bright orange with an interior lined in camo-print fabric and an unexpected plaid lining that awaits within the pockets. But regardless of current trends and seasonal release schedules, this shop stays focused on its primary goal: creating a solid collection. Nothing says luxury quite like a show-stopping, meticulously crafted watch. Traditionally, Switzerland has dominated the market. 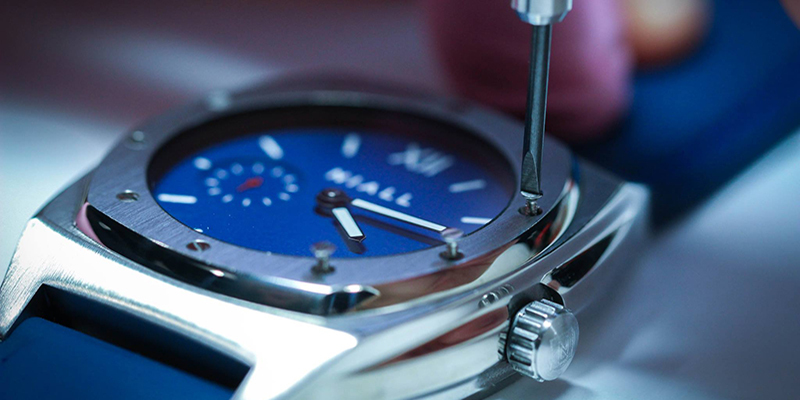 Yet in a space on the Country Club Plaza that’s part-retail store, part-workshop, the dedicated team at Niall is on a mission: to manufacture, gram for gram, the best watches in the world. The company was originally launched in the heart of the Crossroads Arts District—which many argue is the epicenter of the city’s creative community. Since then, it’s created a remarkable collection of coveted timepieces, including Fieldhouse Blue, a stunning watch that includes James Naismith’s 13 Rules of Basketball micro-etched on the dial—and has been officially licensed by the University of Kansas. Aside from shifting perceptions of Kansas City within the watchmaking world, Niall has introduced a previously unavailable degree of accessibility, especially in the luxury market. Rather than simply imagining the watchmaking process, storefront shoppers can view the company’s assembly station and experience firsthand the incredible complexity of watchmaking. 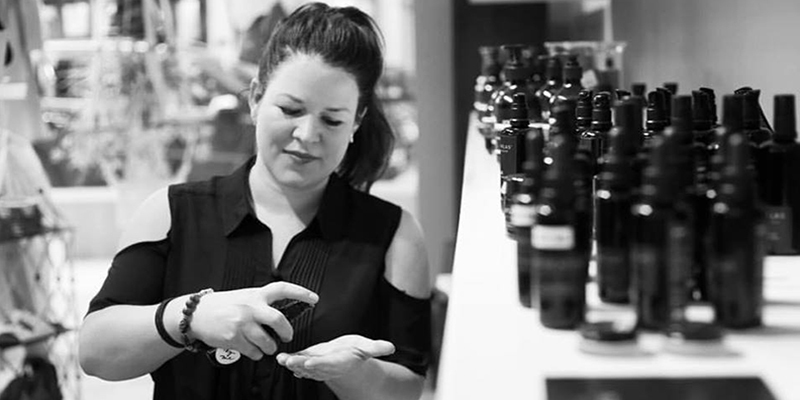 The shop’s collection includes several product categories: toners and exfoliators, facial oils and body care. Many of the products—including the antioxidant toner, clarifying face oil and anti-aging face oil—are available in trial sizes. Frequent travelers will love the travel sets (each includes a combination of three products). Explore the Native Atlas product line—available at both Standard Style and Baldwin, both on The Plaza, as well as found online—and it’s immediately clear that the company leaves no detail to chance, all to the customer’s benefit. 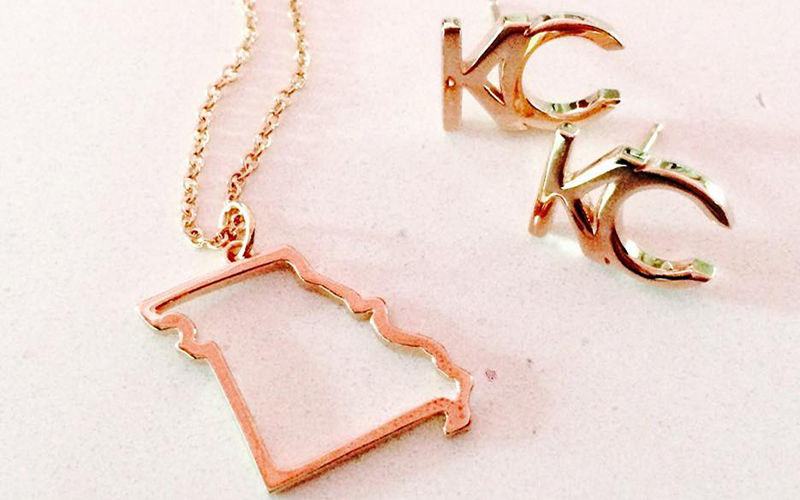 For those looking for a stylish way to wear their KC pride, Jennifer Janesko’s Kansas City jewelry collection has become a favorite, thanks to pieces like the Missouri/Kansas necklace, the Champion Crown necklace and Arrowhead studs. The JANESKO jewelry line includes several collections inspired by her travels, her native Kansas City and other interests. She continues to innovate with an enviable mix of designs created from sterling, precious stones and solid gold, all designed locally. Shoppers can find her items at shops such as Raygun, Halls Kansas City and more. Despite a deep wanderlust and even initially considering a move to a larger city, the designer found Kansas City to be an ideal place from which to build her career and brand.